Temper tantrums are an inevitable part of raising children. Children as young as 12 months can learn to throw temper tantrums as a way to express their feelings and frustrations. Temper tantrums are inevitable, but you can help cut back on the frequency of their occurrence by implementing these strategies into your lifestyle and daily routines. When children’s needs are met, you’ll find that they’re happier, less irritable and respond better to situations. When you say no too often, you’re limiting your children and forcing them into a position of fight or flight. For every “no” that you tell your child, make sure you counterbalance with 2-3 “yes” responses to their requests. Maybe doesn’t count as a yes or a no and confuses children, try to eliminate maybe from your responses. You can reduce the number of times you say “no” by making sure your home is childproofed and safe for them to explore, and setting clear limits that are consistently enforced so that saying “yes” is easy and fun! NUTRITION & SLEEP GO HAND-IN-HAND. 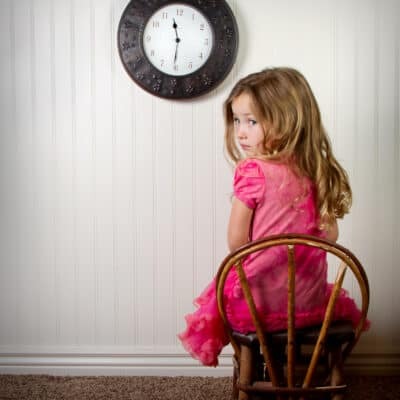 Children act out – as do adults – when they’re overly tired and hungry. Make sure your children are getting enough overnight sleep as well as nap time based on their age. Ensure that healthy, balanced meals are being served three times as day and supplemented with snacks in the mid-morning and mid-afternoon, if they’re still young and snacking. Plus, make sure you always have extras and water on hand in case of a hungry episode while you’re out of the house. Would you like to read a book before bed or play in your room for five minutes? Would you like grilled cheese or quesadillas for lunch? Would you like to wear shorts or a skirt to school today? CREATE ENVIRONMENTS THAT ENCOURAGE YOUR CHILD’S PERSONALITY. When your children are shy and uncomfortable with loud noises and big crowds, taking him to a football game where it’s filled with a loud music, possibly even fireworks and 20,000 people, won’t do anyone any good. He will probably react in a negative, scared and fearful way because you put him in this environment knowing it’s not somewhere he’d be comfortable. If your child isn’t spontaneous and needs to know what’s going to happen during the day, take a moment at the start of the day, and maybe even the night before, to talk about what the day is going to be like. Give him the play-by-play so nothing unexpected will happen that can cause an adverse reaction. TAKE CARE OF MOM & DAD TOO. Sometimes Mom and Dad need to recharge and be taken care of too. When we spend time away from our kids – even if it means taking time at naptime or after bedtime to do something that helps us become relaxed and centered – we’ll be able to handle temper tantrums and extreme emotions better. When our batteries are recharged, we’ll be happier, less tired, and more carefree and eager to spend time with our children and have the patience to better handle temper tantrums and emotional outbursts.